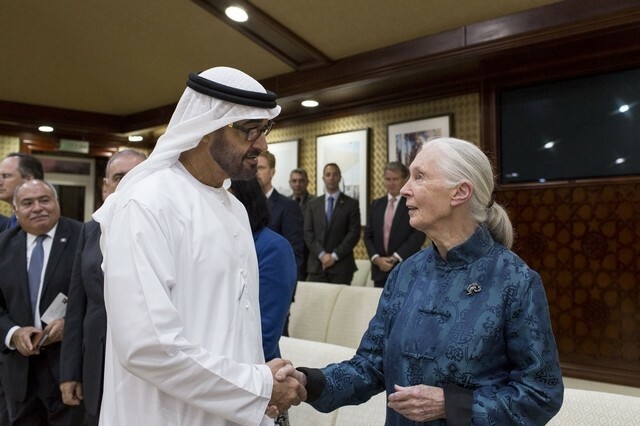 Last night Dr. Jane Goodall gave a talk as part of the Sheikh Mohammed bin Zayed lecture series. Meanwhile just down the road apiece in Sharjah we have this. Totally wrong of course. For every baby Chimpanzee you see in somebody's hands outside of a zoo a whole lot more were killed to obtain it. The mother is killed of course, because no mother is going to give up her infant and so often a whole family has been killed. Get that, KILLED, dead, finished, gone forever just to provide some super rich individual with a new plaything. It isn't clever, it isn't funny, it is just plain horrible. It doesn't matter how much care love and attention is lavished on the baby after the event the damage has been done. Lives have been taken. What will happen to these babies when they become older? 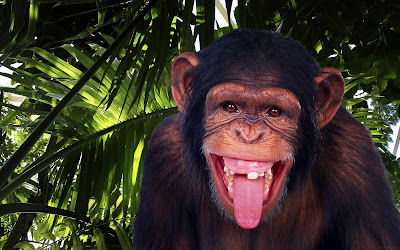 Adult and even pre-adult Chimpanzees are dangerous, exceptionally so. Hand reared Chimpanzees are the most dangerous of the lot. It's not just the Chimpanzees of course. A few weeks back it was baby Orangutans. Their mothers killed as well. Burned to death or butchered or shaved and tied down in some cheap Indonesian brothel. The UAE needs to get its act together and take these people to task. They should not be too difficult to find. The Chimpanzee is CITES Appendix 1 and cannot be traded commercially. Is City zoo a curse for cubs? This story in the press today got my back up. I thought it needed to be examined in more detail. I have posted the full story further down the page. Why does it bother me so much? Because I see countless similar stories (Sadly a lot from Indian zoos). It is going to continue until someone in authority pulls their finger out and teaches people what big cats need, It isn't the cats to blame...it is the staff. He said that both the cubs were suffering from lung infection and respiratory problems since their birth. Just how do they know that? Nobody should know it. It points to human interference right at the very start. Big cats need somewhere quiet, secluded and secure to cub. That is obviously not the case here. This is the root cause of their problems. 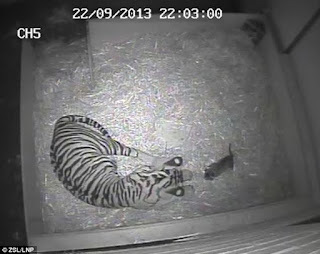 What is any 'guard' doing checking on 20 day old cubs at night. Again disturbing a mother with her cubs. They rushed to the tigress enclosure, but its mother did not allow them to examine it. Later, somehow the zoo staff managed to lock Diya in another shelter and took the cub for examine. More pointless stressful disturbance. Suggests a significant time of trying to split the mother off. She obviously didn't want to leave the cub. Just what did they do to get her away? They, however, had died due to mishandling by their respective mothers. Megha and Diya had picked their cubs up by the flesh rather than the skin around their necks. This sort of injury is caused by stressed mothers. It isn't mishandling....it is stress caused by interfering staff. Indore : The city zoo is proving a curse to newborn cubs of big cats as they continue to die for one or other reasons. A pall of gloom descended on the city zoo on Thursday as the last surviving cub of white tigress Diya died nearly 20 days after he was born. Diya had given birth to two cubs on May 28. One of them had died of lung infection about 10 days back. “The second also passed away due to lung infection,” zoo in-charge Dr Uttam Yadav said. He said that both the cubs were suffering from lung infection and respiratory problems since their birth. According to zoo officials, the deceased cub was declared dead only after post mortem which was done early morning on Thursday. 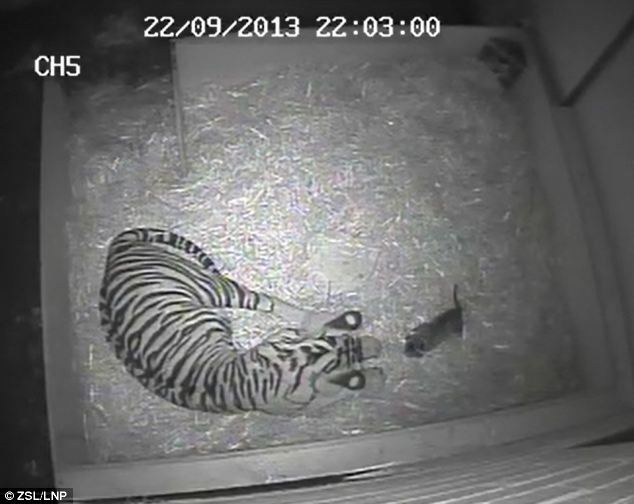 On Wednesday night, a guard noticed the 20-day-old cub of Diya lying unconscious. He informed zoo authorities about it. They rushed to the tigress enclosure, but its mother did not allow them to examine it. Later, somehow the zoo staff managed to lock Diya in another shelter and took the cub for examine. Yadav said that the cub was not breathing. 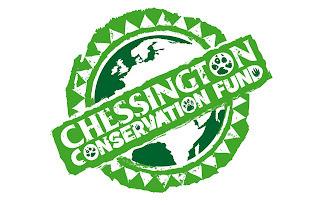 “He had died in the enclosure,” he said adding that the post-mortem found that the cub was suffering from the lung infection just like the first one. In past 35 days, three newborn cubs had died at city zoo. Earlier, one of the five newborn cubs of lioness Megha had also died in the first week of May due to respiratory problems. Last year also, six cubs, three each of Diya and Megha had died at the zoo. They, however, had died due to mishandling by their respective mothers. Megha and Diya had picked their cubs up by the flesh rather than the skin around their necks. The move proved fatal for the cubs. The number of big cats in the city zoo has reduced to 30 from 33. 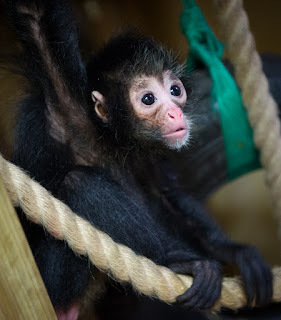 Keepers at Chessington World of Adventures Resort were congratulated by the Zoo world last night at the prestigious 2015 BIAZA Award ceremony for their work in hand-rearing and rehabilitating an orphaned spider monkey. After being first announced in 2012 Dubai is about to start work on their Crocodile Park. The 10 million AED has an expected completion date towards the end of 2016. Located near the new Dubai Safari Zoo it will offer another attraction for the millions of tourists who visit Dubai each year. Covering an are of some 20,000 square meters in is expected to house around 200 *crocodiles of different species. It has been stated that the main focus will be upon education which will be a welcome relief from Crocodile Parks elsewhere where the emphasis usually appears to be on teasing them in pseudo shows. The Crocodilians are for the most part hardy and inoffensive animals and require next to no handling. 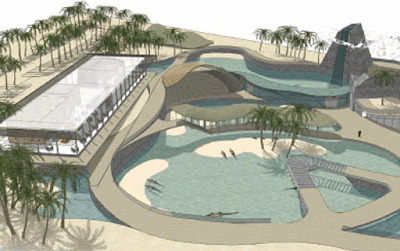 Khalifa Abdullah Hareb has stated the facility will provide "crocodiles for a hassle free living, interaction and reproduction," and "the crocodile park would strengthen the role of the UAE in the protection of endangered animals." Mohamed Oueslati goes on further and says "The visitor can discover the various stages of crocodiles natural life such as egg laying, hatching, growing, breeding, family life …etc in various angles of relaxing, crawling, swimming and diving," and added "All activities will be held in the strict respect of the course of the animal natural life without considering any external or artificial element for added attraction,"
Though this will be the first specialised Crocodile Park in the UAE they have been kept here since the 1960's and bred here and more recently in Dubai Mall. 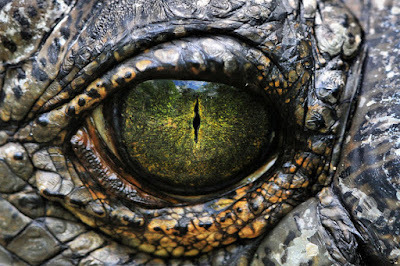 * It has been said that the crocodiles will be imported from Madagascar which has the famed 'Ankarana Cave Crocodiles'. There are other cave dwelling crocodiles in Gabon and Mauritania. 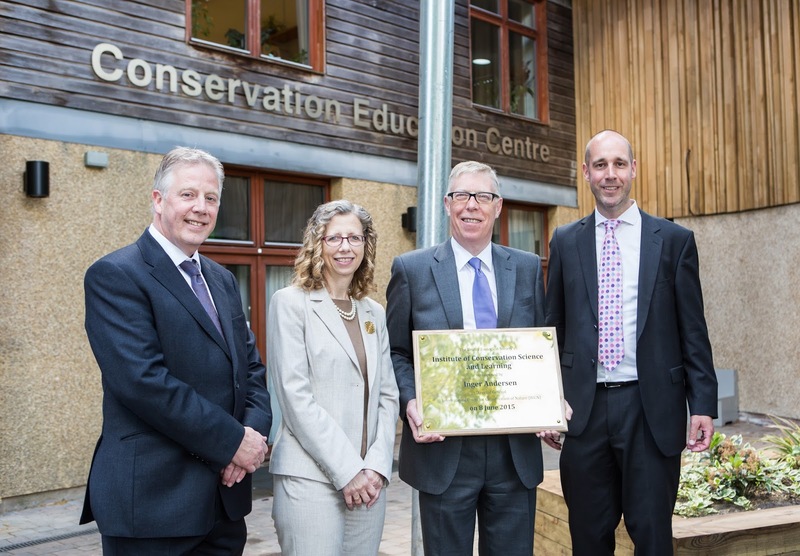 On Monday 8th June, Bristol Zoological Society officially opened its new Institute of Conservation Science and Learning – the first of its kind in the UK. There to officially open the building was the Director General of the International Union for Conservation of Nature (IUCN), Inger Andersen. The Society normally teaches 40,000 pupils a year. With the new £2.3million world-class facility, it will reach over 45,000 pupils a year and 400 university students on full time and part time higher education courses. The Zoo’s education and conservation science teams have been delivering high quality education for over 25 years. The teams collaborate with a number of universities and other educational institutions including the University of the West of England, the University of Bristol and South Gloucestershire and Stroud College, to co-deliver degree courses for their students. 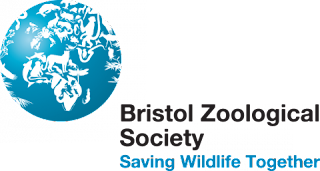 Bristol Zoological Society’s mission is to save wildlife through conservation action and engaging people with the natural world. 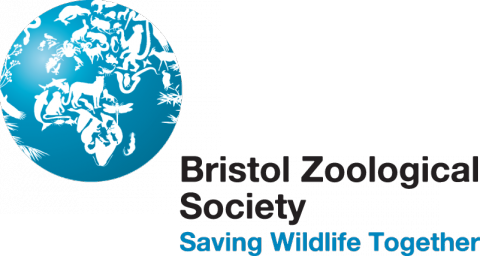 For more information visit: www.bristolzoo.org.uk.